LP determines if a horse will have a leopard complex spotting pattern while other genes determine the extent (or amount) of white. One of these genes has been identified and has been termed Pattern-1 for first pattern gene or PATN1 for short. A mutation in PATN1 was identified that is associated with increased amount of white in in LP horses. In horses that are heterozygous for LP (LP/N), presence of the PATN1 mutation most often produces a leopard or a nearleopard pattern. In horses that are homozygous for LP (LP/LP), the PATN1 mutation most often results in a few-spot or near few spot pattern. The PATN1 mutation is present in breeds with LP, including the Appaloosa, British Spotted Pony, American Miniature Horse and Knabstrupper, among others. 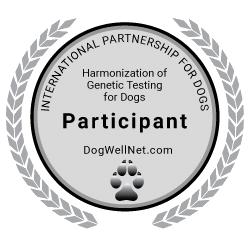 The PATN1 mutation has been found in other breeds but may not have an effect on phenotype in the absence of LP. Testing for both LP and PATN1 is recommended for breeders interested in producing Leopard Complex-spotted horses and ponies.